– He is used to living alone. 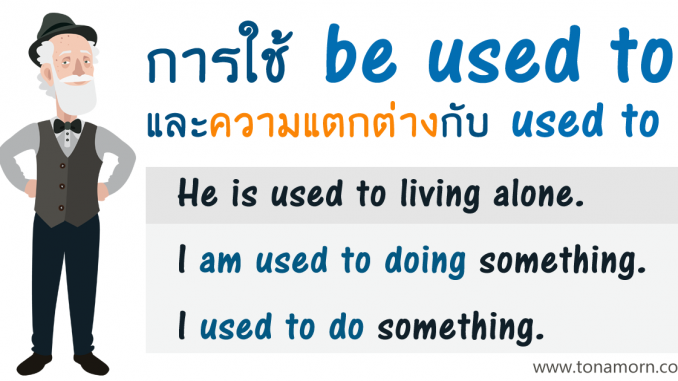 * ไม่พูดว่า He is used to live. – I bought some new shoes. They felt a bit strange at first because I wasn’t used to them. – I am used to doing something. – I used to do something.